The proximate cause of this week’s scare lies in Italian politics, and a row in which Silvio Berlusconi, the prime minister, hurled playground insults at Giulio Tremonti, the finance minister, over a new austerity budget. Add in the underlying concerns about the Italian economy’s feeble growth rate, and investors are understandably worried about the Italian government’s ability to shoulder its huge debt. The magazine's cover package analyzes the crisis from all sides. So if you haven't heard about what's happening in Europe, it's worth a look. 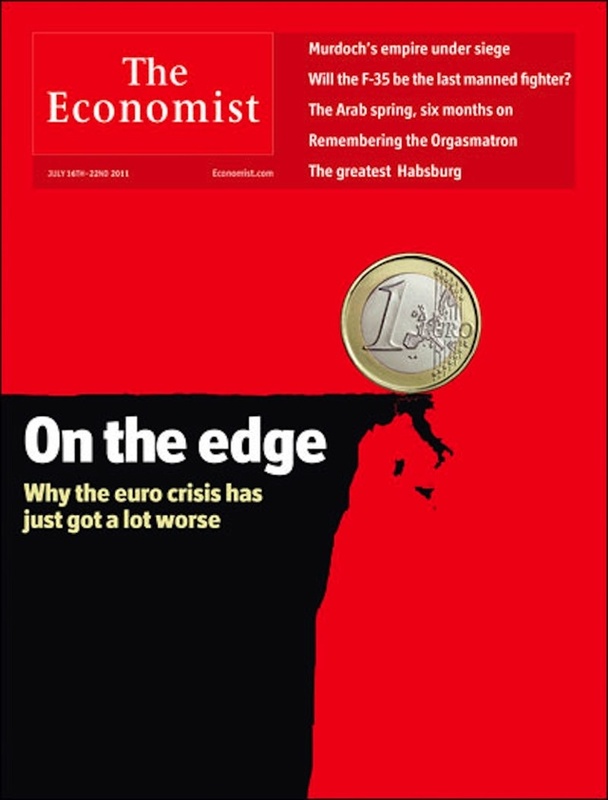 After all, the euro's teetering is kind of a big deal.